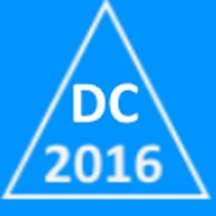 Active Directory Domain Controller 2016: This 2016 virtual machine comes preloaded with the Active Directory Domain Services role, DNS server role, and remote administration tools for AD, DNS, and the required PowerShell modules. Akamai Enterprise Application Access: Try a new and convenient alternative to traditional remote-access technologies, such as VPNs, RDP, and proxies. A cloud architecture closes inbound firewall ports while providing authenticated users access to only their specific apps. Amazon S3 API for Azure Blob / Multicloud Storage: Distribute and migrate data between multiple clouds with transparent S3-to-Azure API translation. Flexify.IO enables cloud-agnostic and multi-cloud deployments by combining storage spaces into a single virtual namespace. beekeeper fully automated patch management: beekeeper by Infront Consulting Group Ltd. is an innovative solution that automates patch management. Utilizing its workload engine, beekeeper automates pre- and post-patching tasks. BlueCat DNS Edge Service Point for Azure: Edge reduces your attack surface, detects malicious behavior, reduces the time needed to remediate breaches, and adds visibility and control to corporate networks under siege from an explosion of malware attacks that exploit DNS. centos 7 with joomla: Centos 7 php with joomla pre install. Corda Enterprise Single Node: Corda Enterprise by R3 is a commercial distribution of Corda software optimized to meet the demands of modern-day business. It includes a blockchain application firewall and cross-distribution and cross-version wire compatibility. Digital transformation platform: Looking for a platform to help you navigate digital transformation while retaining familiar Microsoft technologies? Mavim offers infinitely scalable software that facilitates the creation of a dynamic, virtual representation of your organization. Fusio open source API: Fusio by tunnelbiz.com is an open-source API management platform to help you build and manage REST APIs. Fusio provides you with the tools to quickly build an API from different data sources and create customized responses. GigaSECURE Cloud 5.4.00 - Hourly (100 pack): GigaSECURE Cloud by Gigamon Inc. delivers intelligent network traffic visibility for workloads running in Azure and enables increased security, operational efficiency, and scale across virtual networks (VNets). GoAnywhere MFT for Linux: HelpSystems' GoAnywhere MFT is a flexible managed file-transfer solution that automates and secures file transfers using a centralized, enterprise-level approach with support for all popular file-transfer and encryption protocols. Grafana Certified by Bitnami: Grafana is an open-source analytics and monitoring dashboard for more than 40 data sources, including Graphite, Elasticsearch, Prometheus, MySQL, and PostgreSQL. H2O Driverless AI: This artificial intelligence platform automates some of the most difficult data science and machine learning workflows, such as feature engineering, model validation, model tuning, model selection, and model deployment. Intellicus BI Server (25 Users): Intellicus BI Server is an enterprise reporting and business intelligence platform with drag-and-drop interactive capability to pull KPIs to personalized dashboards and monitor the business parameters on a browser or a mobile device. Intellicus BI Server (50 Users): Intellicus BI Server is an enterprise reporting and business intelligence platform with drag-and-drop interactive capability to pull KPIs to personalized dashboards and monitor the business parameters on a browser or a mobile device. Microsoft Web Application Proxy - WAP 2016 Server: Deploy a Microsoft Web Application Proxy 2016 server preloaded with the ADFS WAP role and ADFS WAP PowerShell modules alongside the prerequisites for you to build an ADFS farm or add to an existing one. Project Tools Product Suite: Profecia IT (Pty) Ltd.'s Project Tools Product Suite is an automated reporting tool that collects and captures data via the mobile application, then completes your report automatically while your data is being captured. Qualys Virtual Firewall Appliance: The Qualys Virtual Firewall Appliance provides a continuous view of security events and compliance, putting a spotlight on your Azure infrastructure. It acts as an extension to the Qualys Cloud Platform. Ripple Development & Training Suit(Techlatest.net): If you're looking to get started with Ripple blockchain development and want to have an out-of-box environment up and running in minutes, this virtual machine is for you. RSA NetWitness Suite 11.1: RSA NetWitness 11.1 strengthens the RSA NetWitness Evolved SIEM offering through deeper and extended visibility and threat intelligence to help increase productivity. Secured Nginx on Ubuntu 16.04 LTS: Nginx can be deployed to serve dynamic HTTP content on the network using FastCGI, SCGI handlers for scripts, WSGI application servers, or Phusion Passenger modules, and it can serve as a software load balancer. secured-mariadb-on-ubuntu-16-04: MariaDB turns data into structured information in a wide array of applications, ranging from banking to websites. 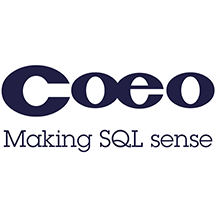 It is an enhanced, drop-in replacement for MySQL. SharePoint Term Extractor: DIQA Projektmanagement GmbH's SharePoint Term Extractor attaches to one or more SharePoint libraries and automatically extracts relevant terms for contained documents in common file formats. You can then use the terms to tag documents. SoftEther VPN Server Windows 2016: Quickly deploy SoftEther VPN server on Windows 2016. SoftEther VPN is an alternative to OpenVPN and Microsoft's VPN servers, and it supports Microsoft SSTP VPN for Windows. ThingsBoard Professional Edition with Cassandra: The Professional Edition is a closed-source version of the ThingsBoard IoT platform. It features several value-add features, including platform integrations, device and asset groups, a scheduler, and advanced white-labeling. Archive2Azure - Intelligent Information Management: Archive2Azure is an Azure-powered platform for modernizing your data estate, delivering long-term, secure, and cost-effective retention and management of organizational data. 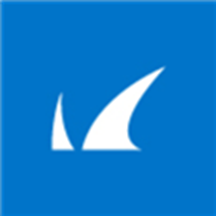 Barracuda WAF-as-a-Service: This cloud-delivered solution enables anyone to protect web apps against the OWASP’s top 10 threats, distributed denial of service attacks, zero-day attacks, and more in just minutes. Barracuda’s security can be configured in just five steps. fedora linux: fedora linux server by tunnelbiz.com is an operating system with the latest open-source technology. 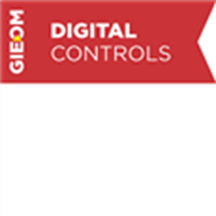 Gieom: Gieom helps define controls in your manual processes to manage your business risks. It supplies information about each risk factor, assesses its impact on a scale of 1-10, lists the probability of it happening, and provides a mitigation plan. 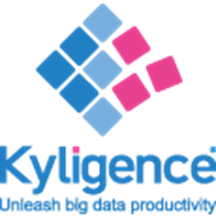 Kyligence Enterprise: Powered by Apache Kylin, Kyligence Enterprise empowers business analysts to architect business intelligence on Hadoop with industry-standard data warehouse and BI methodology. 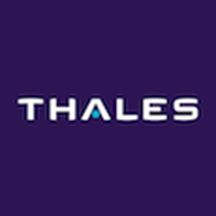 Vormetric Data Security Manager v6.1.0: The Vormetric Data Security Manager (DSM) from Thales eSecurity serves as the center point for multi-cloud advanced encryption. You control encryption keys and policies. Advanced Azure DevOps: 3 Day Workshop: In this hands-on course from Opsgility LLC, students will learn about automation and configuration management for Azure Infrastructure-as-a-Service and Platform-as-a-Service using the Azure Resource Manager. Azure Data Security Healthcheck: 2-Wk Workshop: The Data Security Healthcheck by Coeo Ltd. will identify and review data assets and end points, as well as potential attack vectors and vulnerabilities, recommending strategies and solutions to mitigate these risks. Azure EDI Cloud Migration & Integration: 5-Day PoC: EDI in the cloud is supported by Azure Integration Services, requiring no on-premises footprint, servers, or dedicated administrative staff. This proof of concept lays the foundation for B2B apps using EDI. 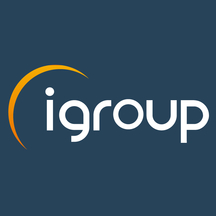 Azure Enterprise Architecture: 1-Day Workshop: This on-site technical workshop by igroup will gather requirements and focus on what infrastructure and/or services are required to deploy an existing software application. Azure Machine Learning (ML): 2 Day Workshop: This course by Opsgility LLC explores Azure Machine Learning for students who are either new to machine learning or new to Microsoft Azure. This course is designed for data professionals and data scientists. Azure Migration & Integration: FREE 1-Day Briefing: TwoConnect's Azure Integration Services (AIS) migration briefing helps guide you in your effort to develop a plan to migrate your on-premises apps and integrations to the cloud. Azure Migration: 7-Day Assessment: Get an overview of your infrastructure environment, including dependencies and performance. 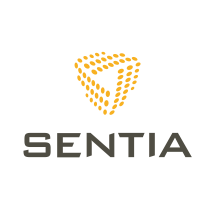 Sentia will provide a recommended model of operations, securing a seamless migration and avoiding excess costs. Big Data and Machine Learning: 2 Day Workshop: This Azure Big Data and machine learning bootcamp by Opsgility LLC is designed to give students a clear architectural understanding of the application of Big Data patterns in Azure. BizTalk to Azure Integration: 3-Day Assessment: Migrating BizTalk apps to Azure Integration Services (AIS) and other Azure services is a multi-step process that begins with an expert analysis of existing apps. BizTalk VM to Azure VM: 2-Day Assessment: Moving virtual machines from on-premises to Azure can lower costs associated with BizTalk Server infrastructure. TwoConnect's BizTalk VM to Azure VM assessment can create a migration plan for your VM situation. 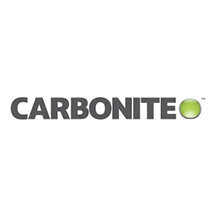 Carbonite Endpoint Protection - Azure 1000 Bundle: Our team will deploy our Platform-as-a-Service offering onto a customer's Azure Enterprise Agreement, which will allow the customer to back up endpoints to Azure. Our team will also provide training. Cognitive and AI: 2 Day Workshop: This course by Opsgility LLC introduces you to Microsoft Cognitive Services and its features, including search, audio, computer vision, and language processing services. This course is designed for IT developers. 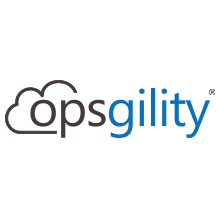 DevOps in Azure: 2 Day Workshop: In this hands-on course by Opsgility LLC, students are introduced to fundamental DevOps concepts, as well as core technologies and services in Azure. This course is designed for IT professionals, developers, and DevOps engineers. 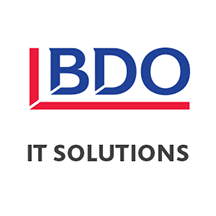 InsurHUB for IFRS 17: 4-Hour Workshop: BDO’s team of experts will detail how the cloud-based solution InsurHUB can help your organization address IFRS 17 compliance using Microsoft Azure. IFRS 17 concerns financial reporting for insurance companies in Canada. Migrate to Azure Stack - Windows 1Tb (4-Wks): Our team will ensure that all aspects of your Windows migration project is a success. We utilize Carbonite Migrate technology for efficient migration of Windows workloads to Azure Stack with near-zero downtime. 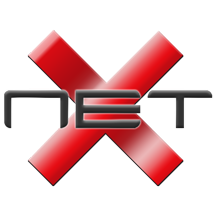 NetX- Veritas NetBackup: 2-Day Assessment: NetX has developed a Veritas NetBackup assessment service that evaluates the health of a NetBackup environment and includes an upgrade path to the latest version, as well as cloud readiness. On-Demand Training and Lab: 4-Wk Workshop: This training in the SkillMeUp series by Opsgility LLC provides on-demand courses and live lab environments for an immersive learning experience. SkillMeUp caters to nontechnical learners as well as to IT pros. Public Service to Azure API: 3-Day Assessment: Host your public-facing services on Azure to bring tremendous benefits in availability, security, and cost. 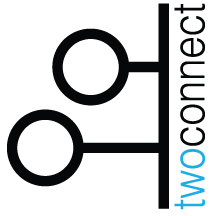 TwoConnect's assessment includes a service review, a back-end review, and a migration plan. SaaS Integration with Azure Logic Apps: 3-Day POC: Azure Integration Services (AIS) makes it easy to integrate with any Software-as-a-Service app. This proof of concept by TwoConnect will enable you to show the benefits of AIS and other Azure services.